Feeling brave? Then you won't want to miss out on Rhode Island's hottest new Haunted Attraction trend - Escape Games. Escape Games aren't your average spooky maze - you'll be challenged to find your way out of a room full of terror, confusion, and fear - this isn't an attraction for the faint of heart. 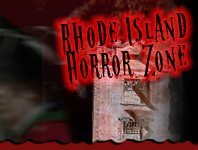 If you feel like you've seen it all, and you're looking for the next big scare, check out one of Rhode Island's YEAR Escape Games - if you think you can find your way out! Escape Rhode Island Providence 910 days ago Rate Now! Founded in 2011, RIHauntedHouses.com is a simple and unique online haunted event & attraction resource created to make it easy for locals to find Haunted House, Spook Walk, Corn Maze, and other Halloween Attractions in their local area.